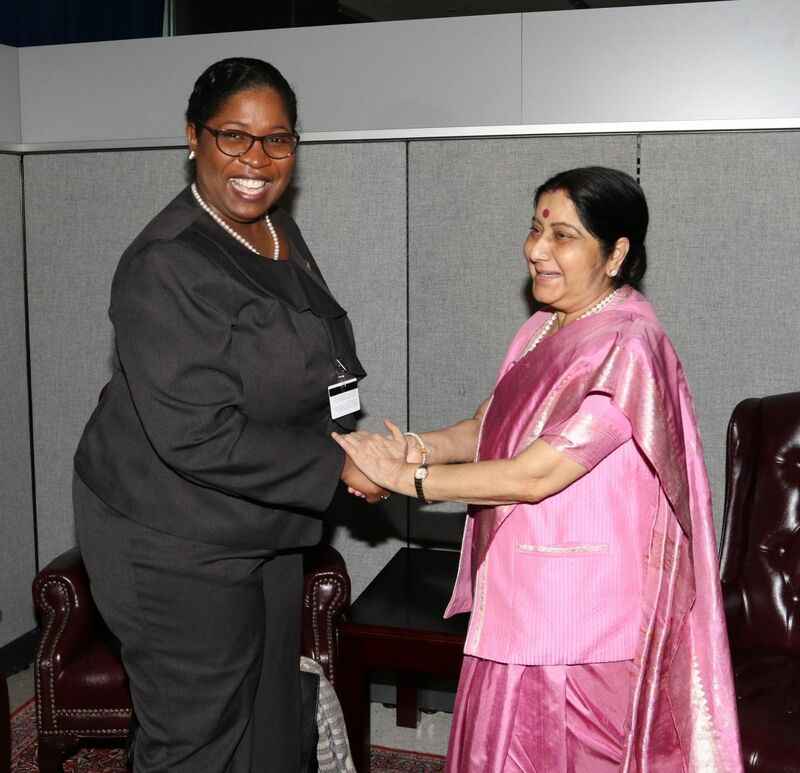 External Affairs Minister Sushma Swaraj met nine leaders from across the globe in a whirlwind of bilateral interactions and spoke at the Nelson Mandela Peace Summity. She began her day on Monday by attending the high-level event on counter-narcotics convened by US President Donald Trump, where she was seated at the front row. India is one of 129 countries that have signed the pledge drafted by Trump on commitment towards international fight against drugs. 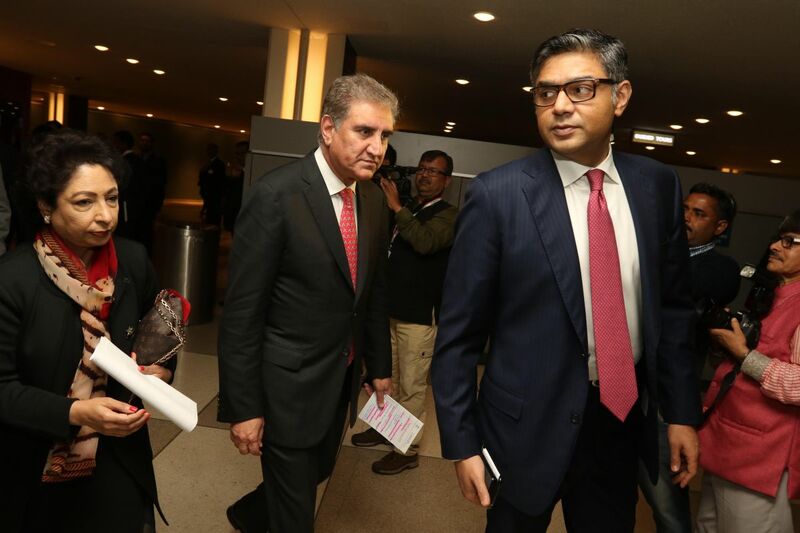 Although it was not a formal meeting, she greeted Bangladesh Prime Minister Sheikh Hasina when she came to the UN, India's Permanent Representative Syed Akbaruddin tweeted. 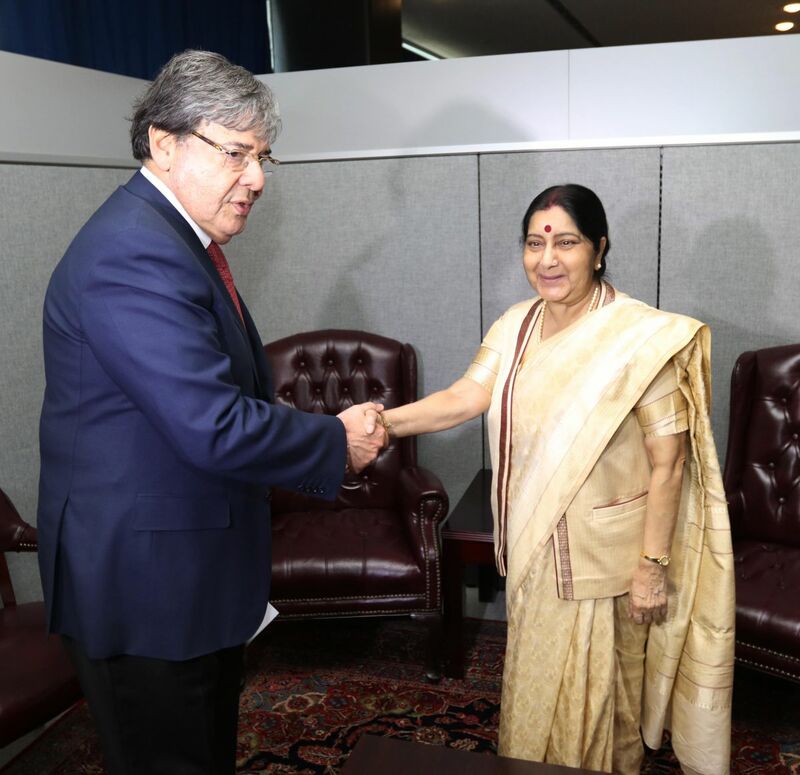 Sushma Swaraj met the Foreign Ministers of Australia, Spain, Ecuador, Colombia, Mongolia, Nepal, Morocco, Lichtenstein and Federica Mogherini, the European Union (EU) High Representative for Foreign Affairs. The topics discussed during the meetings with the foreign ministers depended on the relations with those countries and ranged from strategic cooperation to trade and investment. Measures in Asia (CICA) -- a 26-member forum for cooperation in promoting peace, security and stability in Asia. Ruchi Ghanashyam, the Secretary (West), spoke at the Africa Adaptation Initiative High-Level Roundtable. The organisation aims at facilitating finance and cooperation for the continent's development. 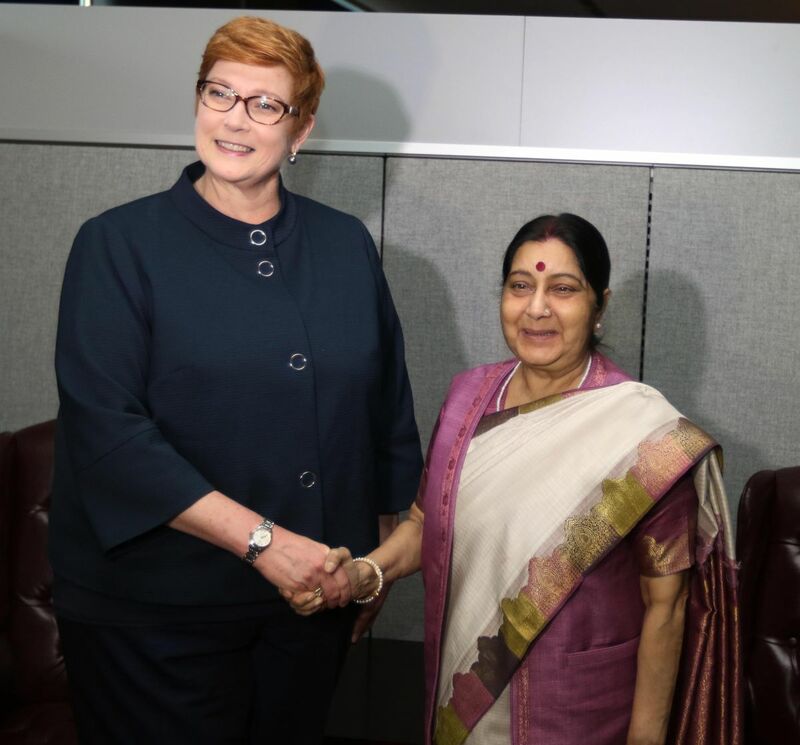 After Sushma Swaraj's meeting with Australian Foreign Minister Marise Payne, External Affairs Ministry spokesman Raveesh Kumar tweeted: "Strategic partnership gaining momentum!" The two countries have been building up their strategic relations reinforced by the Quadrilateral Security Dialogue that includes the US and Japan. Closer to home was the meeting with Nepal's Foreign Minister Pradeep Kumar Gyawali, which "took stock of our bilateral relationship", Kumar tweeted. At the meeting with Ecuador Foreign Minister Jose Valencia Amores, there were "good discussion on ways to further consolidate bilateral relationship in the areas of trade, agriculture, pharma, IT and capacity building", according to Kumar. Also from Latin America, Colombia's Foreign Minister, the discussions centred on cooperation on trade investment, pharma, mining, petroleum and capacity building, he tweeted. 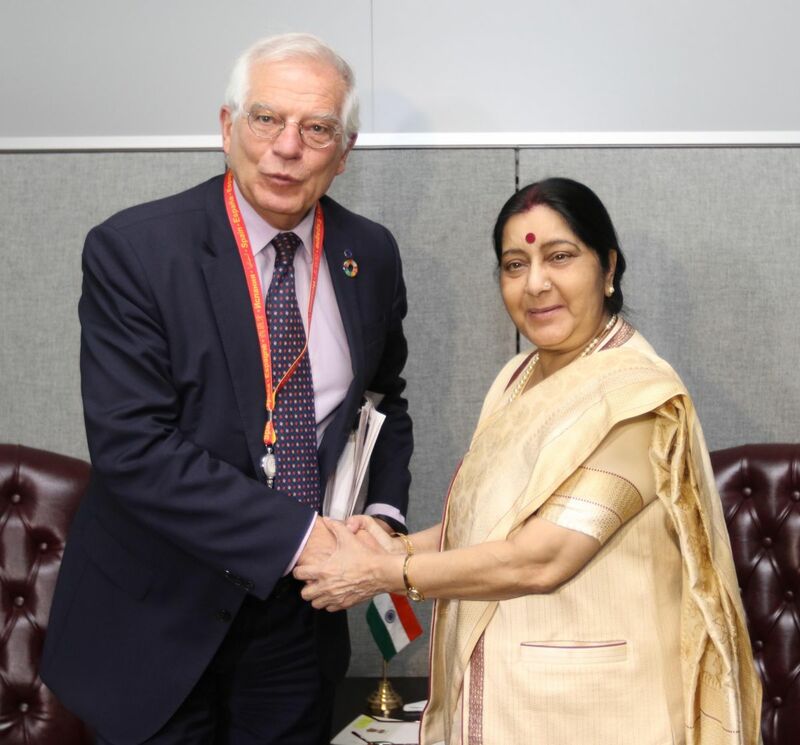 With Spanish Foreign Minister Josep Borrell, Sushma Swaraj "explored ways to intensify ties in investment, renewable energy, water treatment, tourism and their contribution to our flagship initiatives", according to Kumar. Mogherini and Sushma Swaraj "discussed issues related to trade and investment and exchanged views on the regional and global issues," Kumar said in a tweet. He noted that India and the EU were bound by a "strategic partnership based on common values of democracy, freedom and rule of law." "Celebrating the 25th anniversary of our diplomatic relations" Sushma Swaraj and Lichtenstein Foreign Minister Aurelia Frick "exchanged views on enhancing bilateral relations in trade and investment, particularly through participation at Indian trade fairs and tourism," Kumar tweeted. 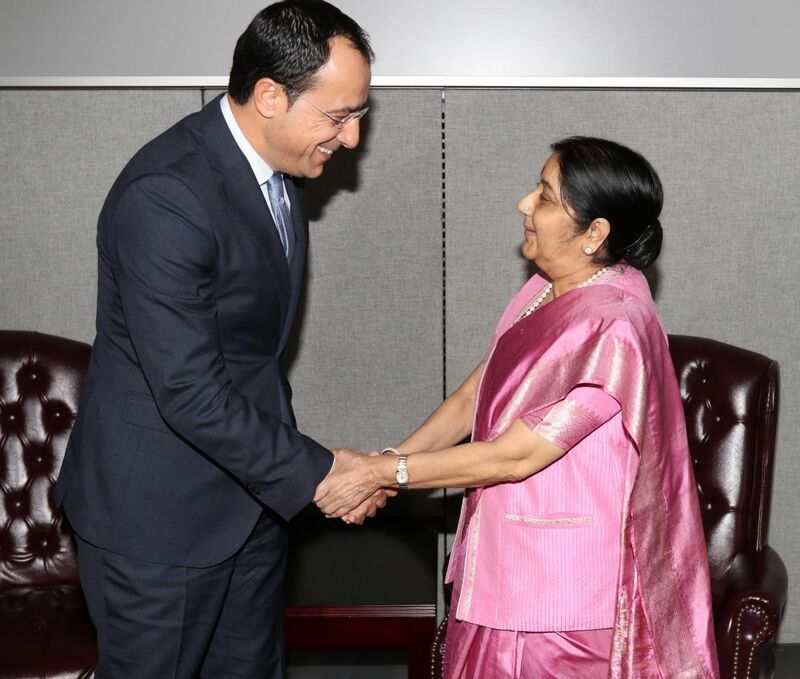 On relations with Morocco, he noted that they stretched back to the time of Ibn Battuta, the 14th century explorer, and tweeted that Sushma Swaraj and "Morocco Foreign Minister, Nasser Bourita discussed strengthening cooperation in areas of commerce, pharma, cyber security, defence and culture". She also met with Mongolian Foreign Minister Damdin Tsogtbaatar. The High-Level General Assembly session begins on Tuesday. 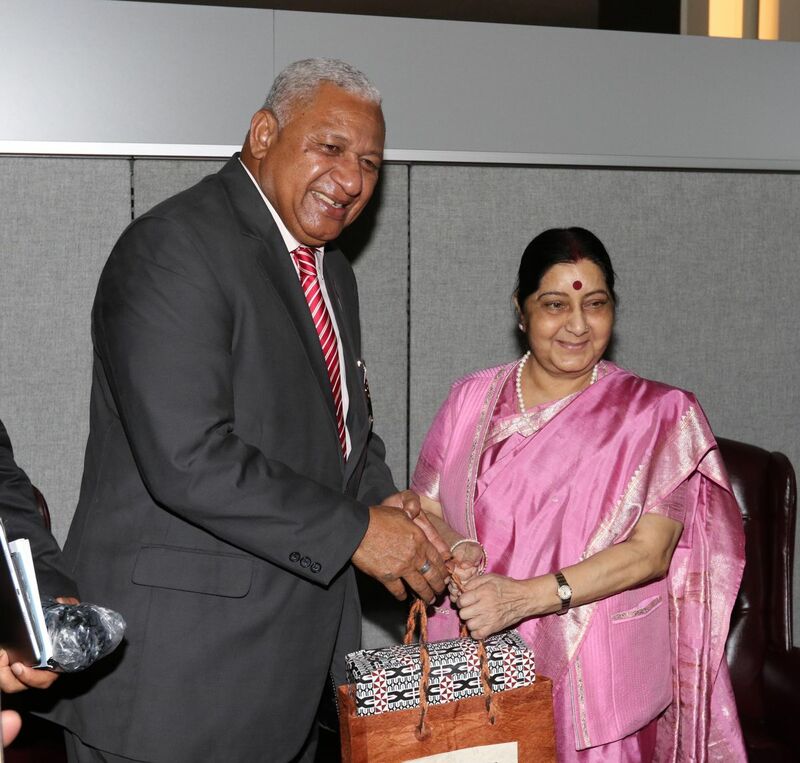 On the sidelines, she was to meet Fiji Prime Minister J.V. Bainimarama and the Foreign Ministers of Iraq, Cyprus, Moldova and Estonia.